Relieves dry skin instantly and naturally locks in moisture for 24 hours. Sizes available: 12 fl oz. This moisture-rich body lotion combines the intensive moisturizing benefits of an oil, in a convenient non-greasy lotion form. Its unique formula is enriched with a blend of natural ingredients – shea butter, known for its ability to soften skin and olive oil, to relieve dry skin instantly as it helps lock in moisture. This moisturizer leaves skin silky smooth and even for healthy-looking, radiant skin. 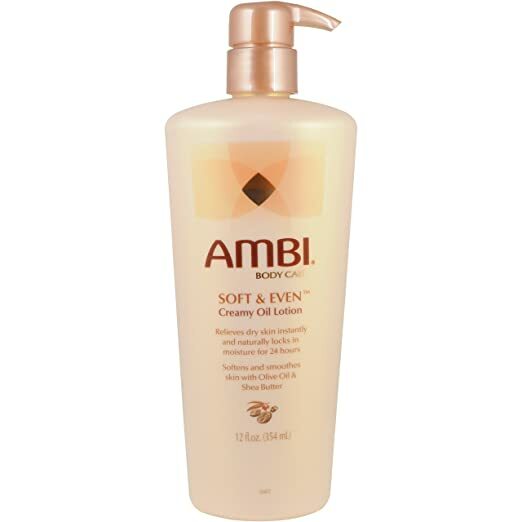 Apply daily to legs and bod for silky smooth soft skin, with no greasy after feel.